Fred Busch, Ph.D. è analista didatta presso l’Istituto Psicoanalitico del New England East, e docente nel Boston Psychoanalytic Institute e nel Massachusetts Institute of Psychoanalysis. 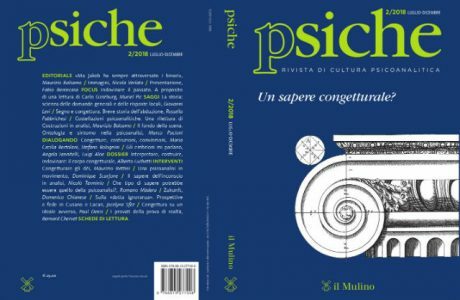 Dr. Busch ha pubblicato oltre 60 articoli di letteratura psicoanalitica, e due libri, soprattutto sul metodo e la teoria del trattamento. Il suo lavoro è stato tradotto in sette lingue, ed egli è stato invitato a presentare a livello nazionale e internazionale oltre 150 pubblicazioni e seminari clinici. 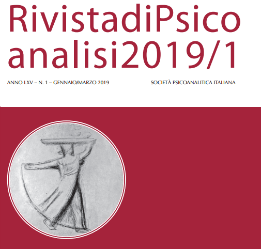 È stato membro dell’Editorial Board del Journal of the American Psychological Association, e dell’International Journal of Psychoanalysis, ed è attualmente nel Comitato Editoriale di Psychoanalytic Psychology, e consulente editoriale per American Imago Books. 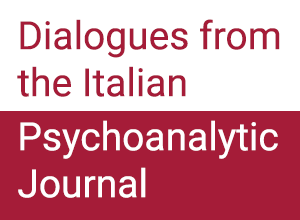 È il past Editor della Book Series del Journal of the American Psychoanalytic Association. Ha appena finito il suo mandato nel Board dell’ International Psychoanalytic Association, e nell’Education Committee dell’ International Psychoanalytic Association. 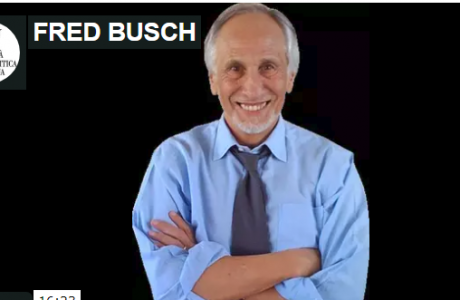 Fred Busch, Ph.D. is a Training and Supervising Analyst at the Psychoanalytic Institute of New England East, a member of the Faculty of the Boston Psychoanalytic Institute and the Massachusetts Institute of Psychoanalysis. 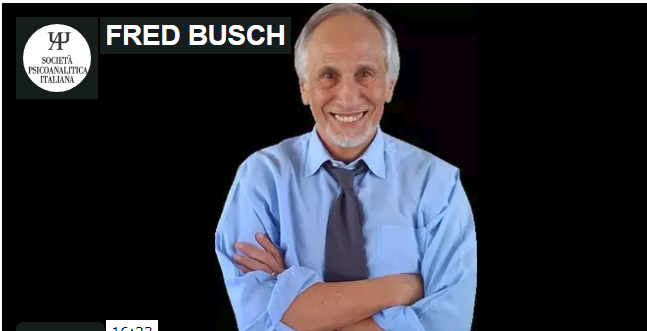 Dr. Busch has published over 60 articles in the psychoanalytic literature, and two books, primarily on the method and theory of treatment. His work has been translated into seven languages, and he has been invited to present nationally and internationally over 150 papers and clinical workshops. He has been a member of the Editorial Board of the Journal of the American Psychological Association, the International Journal of Psychoanalysis, and is currently on the Editorial Board of Psychoanalytic Psychology, and an Editorial consultant to American Imago Books. He is the past Editor of the Book Series of the Journal of the American Psychoanalytic Association.He has just finished his term on the Board of the International Psychoanalytic Association, and the Education Committee of the International Psychoanalytic Association.